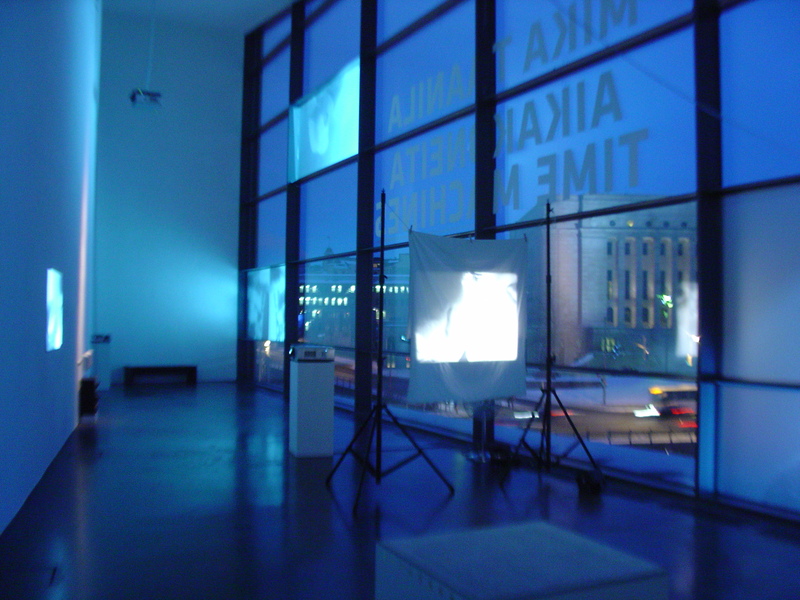 Helsinki is paradise for contemporary video art forms interlaced with computer and realted media arts. We have visited three exhibitions until now and they have all been very inspiring and the Aalto University MediaLab department is a conglomerat of knowledge in this field. 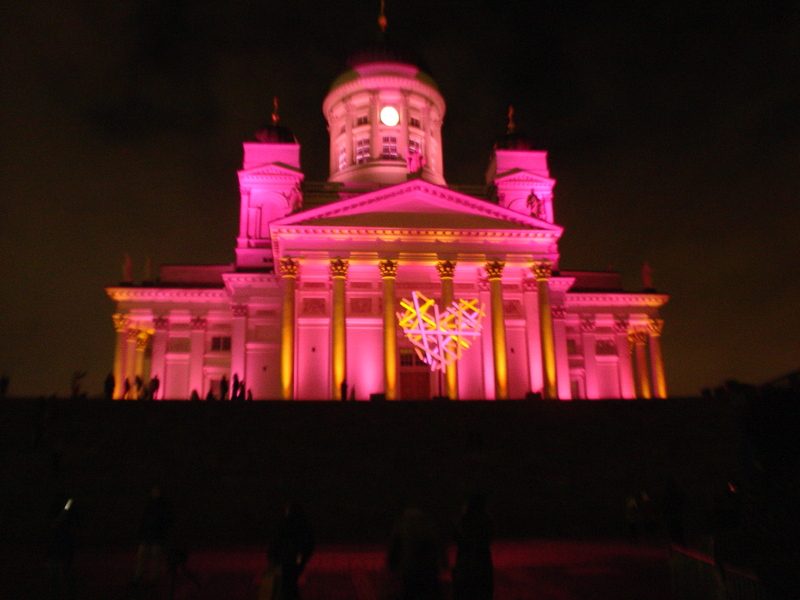 Already on the second day of our stay here, we needed to check out the last day of light installation festival called Lux Helsinki where the buildings in the city center are turned into mapped screens. Selected from many were: a love senat, a flipper house and mapped shadows of trees. 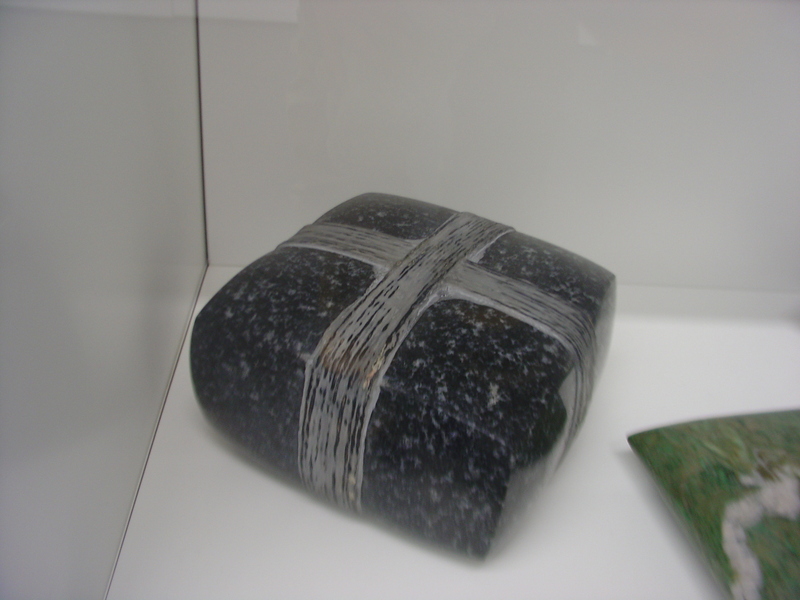 Then after a week of resting, getting used to the cold and the darkness, after getting a glimps into programming and the school system here, we finally found time and energy to go see some Finnish art. First, we visited Kaapeli – an old Nokia cable factory which is now a huge art center full of museums, independant art schools, theatres, galleries, art and design studios etc. Unfortunatelly, we coudn’t visit the museums since we went there on Monday, but we did have a long walk through the endless corridors and saw two smaller exhibitions. 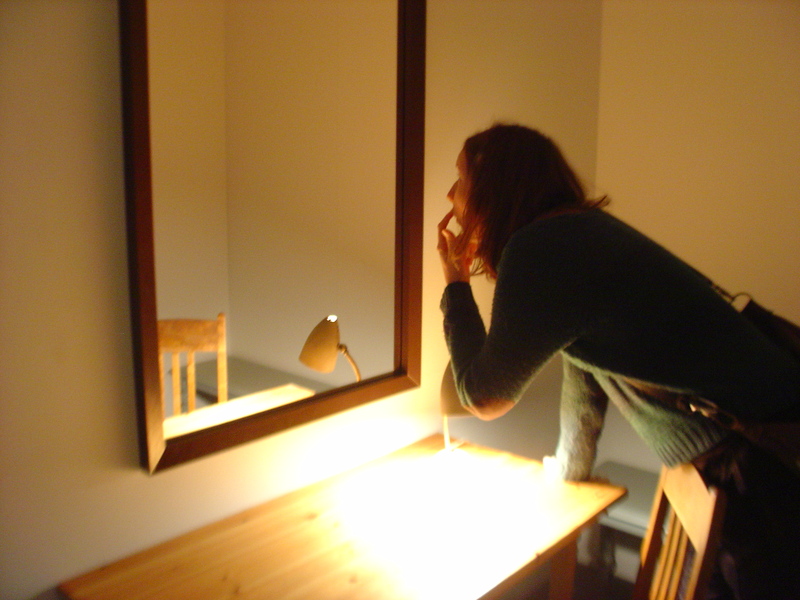 Last weekend we’ve seen Within Reach at Sculptor Gallery, a solo exhibition by Heidi Tikka which consisted of a presentation of a five-channel interactive video installation At Hand which was previously set up in the street showcases, interactive sculptures which breathe while touching them on special places and an interactive tactile video installation which caressed a visitor with a projected hand. 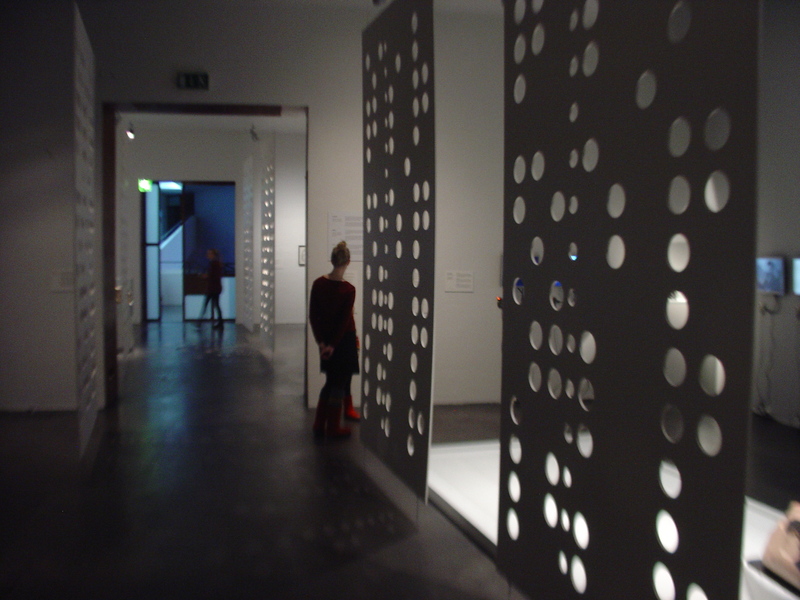 Later we went to the PLAY: Stars of Media Art exhibition in Helsinki Art Museum. This was a perfect introduction into different forms of contemporary narratives. We’ve seen a stone and sound installation which seemed like a visual story, double, three-channel installations, sculptures with integrated videos, mapped computer generated imageries and a multi-channel film Anne, Aki and God by one of the gratest media installation artist, a Finnish story-teller Eija-Liisa Ahtila. Unfortunatelly, Fiona Tan’s intallation was only in Finnish, so I couldn’t understand it. This weekend we’ve been to Kiasma, Contemporary Art Museum of Helsinki. 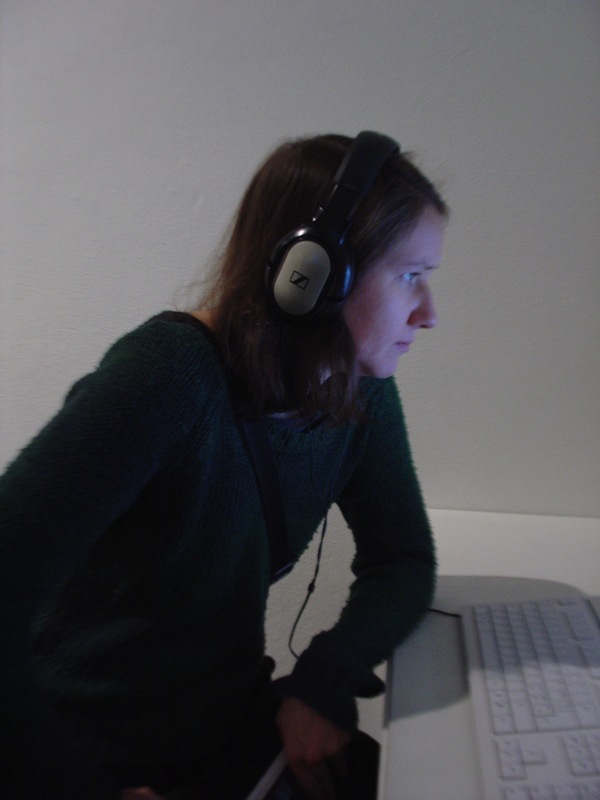 There were three exhibitions going on at that time: Kiasma Hits with a best of selection from the museum collection in various media and then two solo exhibitions of two Finnish new media artists: Mika Taanila’s Time Machine and Erkki Kurenniemi’s Towards 2048. The latest was a very interesting fellow who was an inventor, programmer, oscilators based musician. 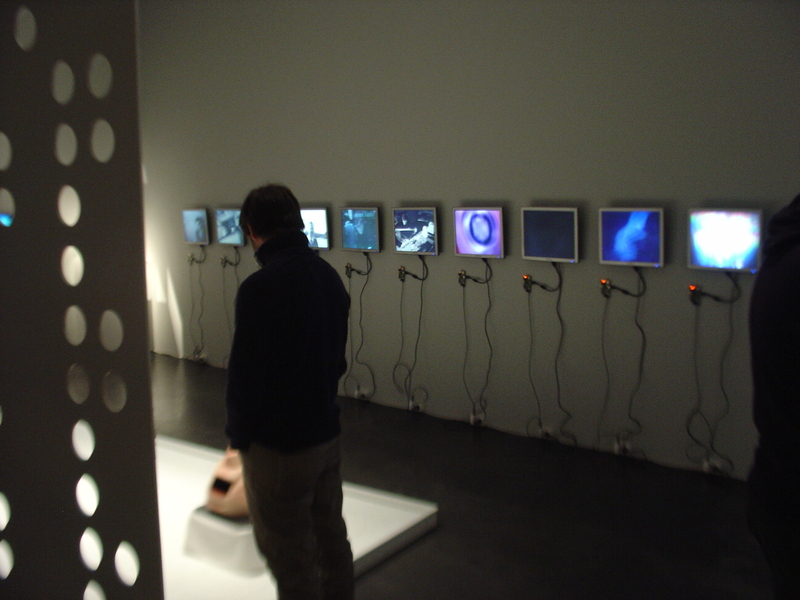 The exhibition was a tectile presentation of his instruments and inventions with an acompanied documentary film about the author who’s idea is that in 2048 people will be one with computer. 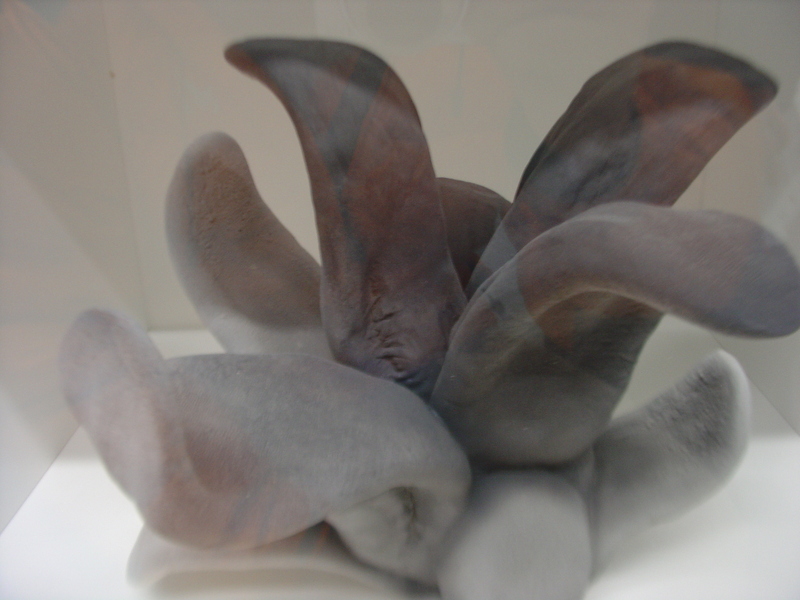 Check out his randomised diaries DataRadio (in 2048), a work from 2013 where he lets users play with his recordings and make new databases of time out of it. He has been collecting visual (photos, videos) and sound material from his life (private and public), writing diaries for years and is obsessed with documenting everything so it will be possible to get an idea of our time in future. Erkki Kurenniemi’s DataRadio (in 2048). Reminds me of my Memories 2000. 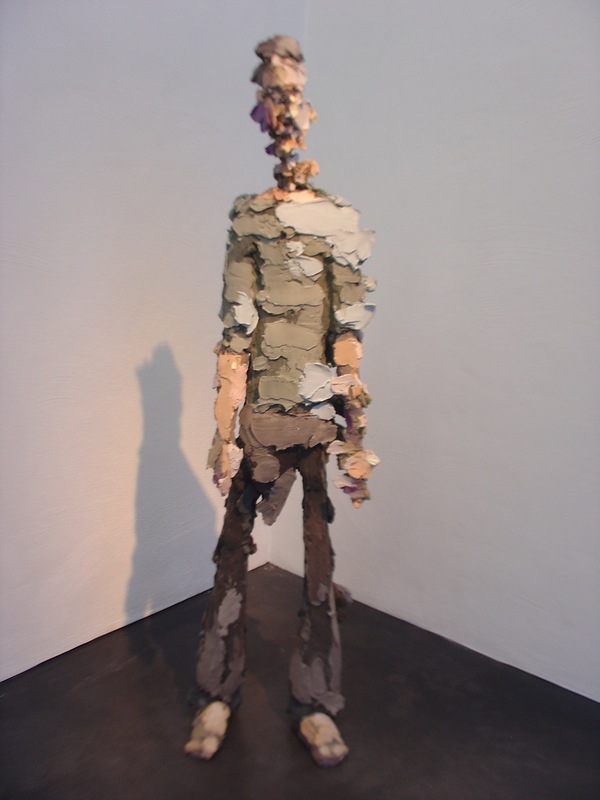 This reminds me of my work from 1999 called Memories 2000 where I tryed to conservate things that were most usual and close to me in the end of the previous millenium to have them as a slice of time in the new millenium. 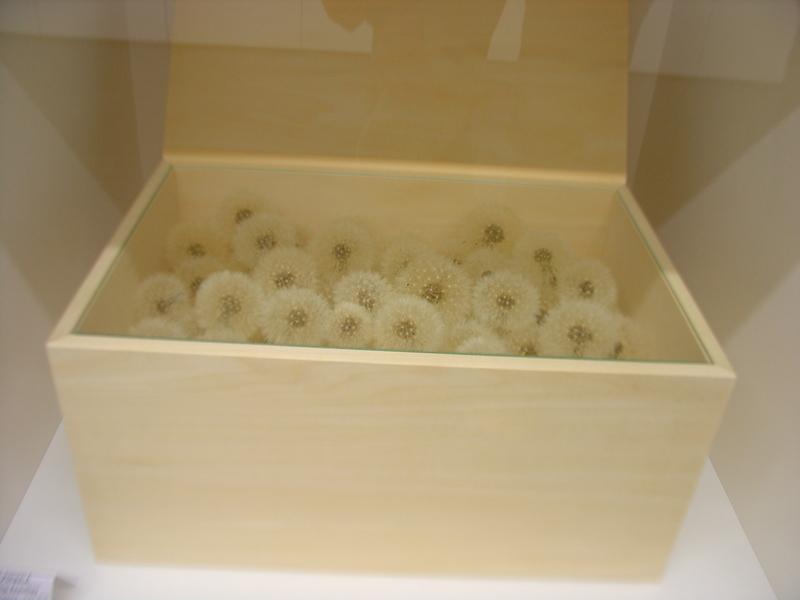 I collected photographs of places and people only to place them together with selected objects into a box of memories from the previous millenium which was to be opened in year 2000 and later. Walls made of old computer cards. To go back to Kiasma theme and say something about the technology used in these exhibitions: Most of the videos were played from an open-source mini computer called Raspberry Pi (I used it in my last projects as well since it is easy to instal also interactive videos on it) and the screening rooms had their own information displays telling a visitor timecode of the video screened. 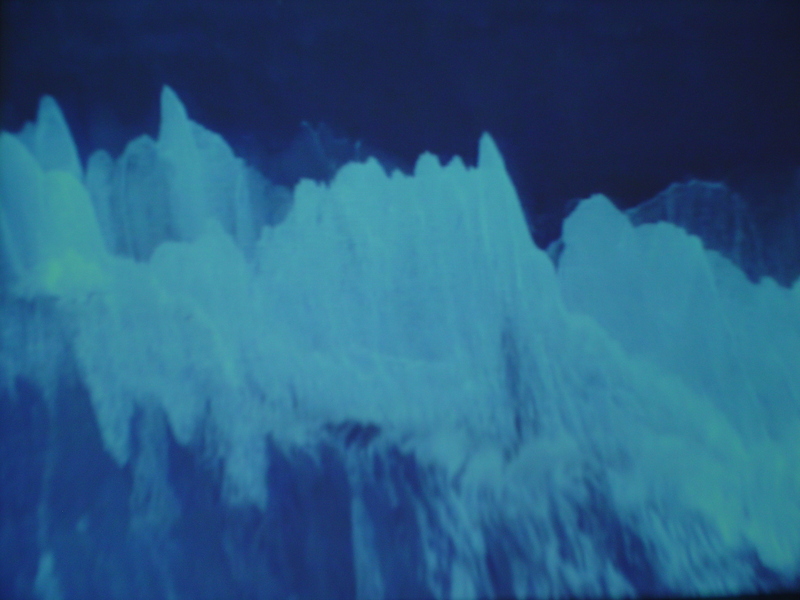 Taanila’s works were mostly projected from 16 mm loop film projectors (including a two-channel loop installation). 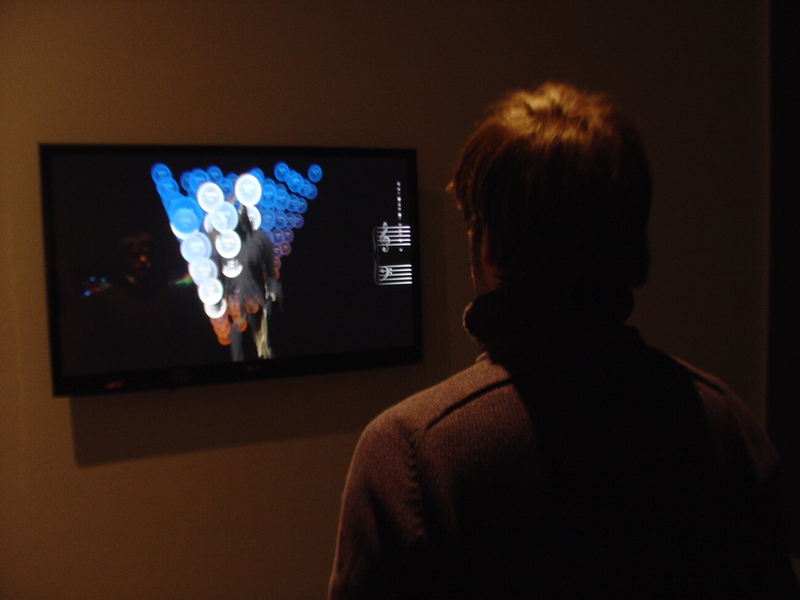 Performance works were presented with video documentations. 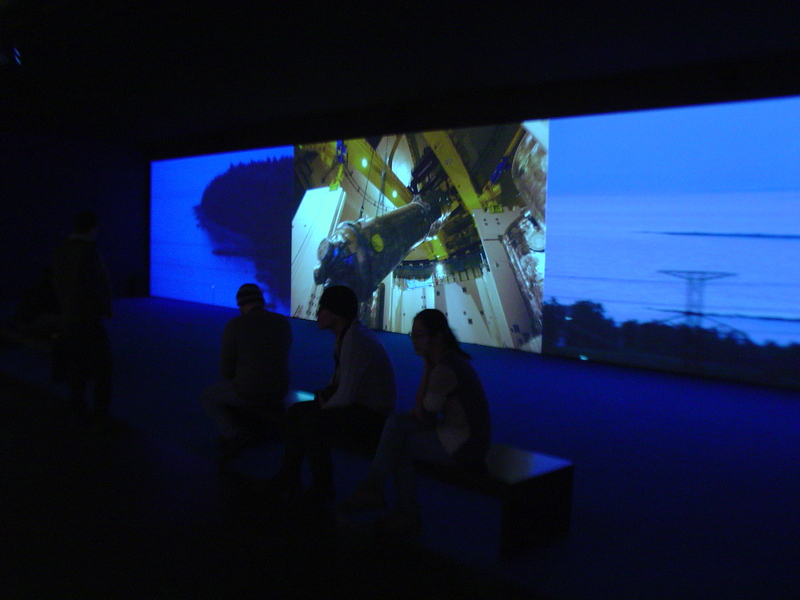 There was even a make of video of the exhibition screened and a room for resting installed in the museum. All of the works were tagged with funny but smart remarks for children to bring the works closer and make them more understandable for them. 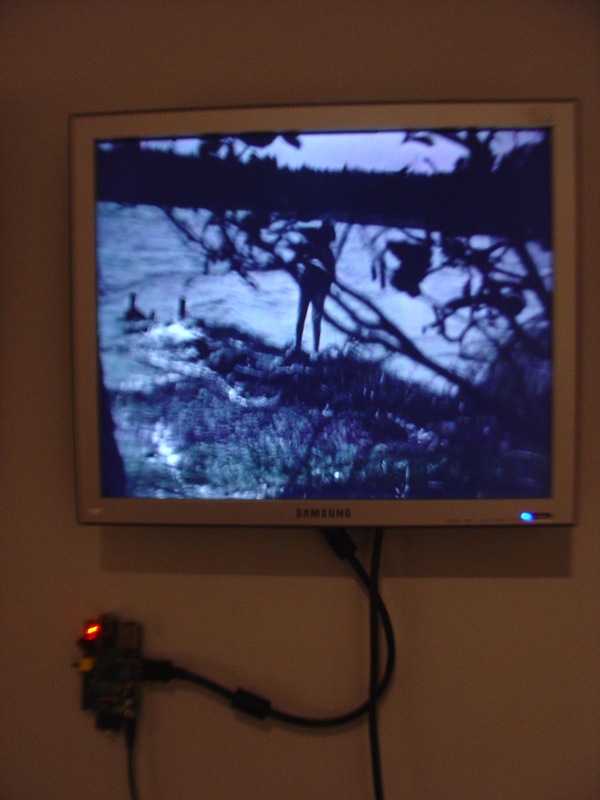 Video played of a Raspberry Pi. I must say I was impressed! 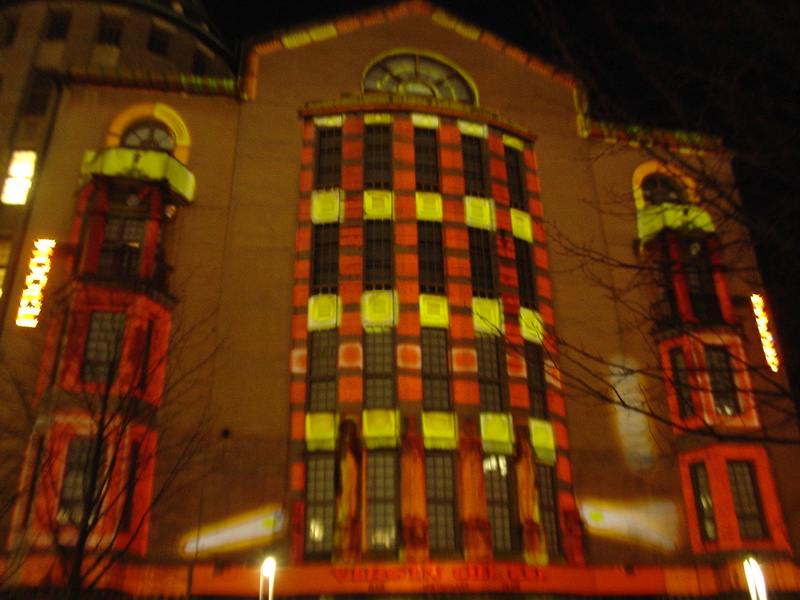 Black and white films projected on various surfaces. Mika Taanila’s three-channel video installation on the most electrified city in Finland where they are building a new nuclear power plant. 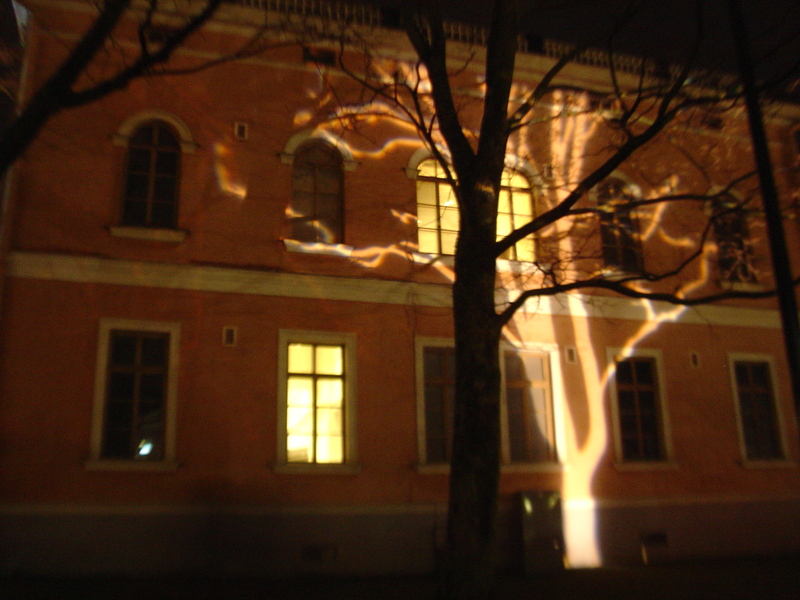 Mika Taanila’s projectors on tracks. 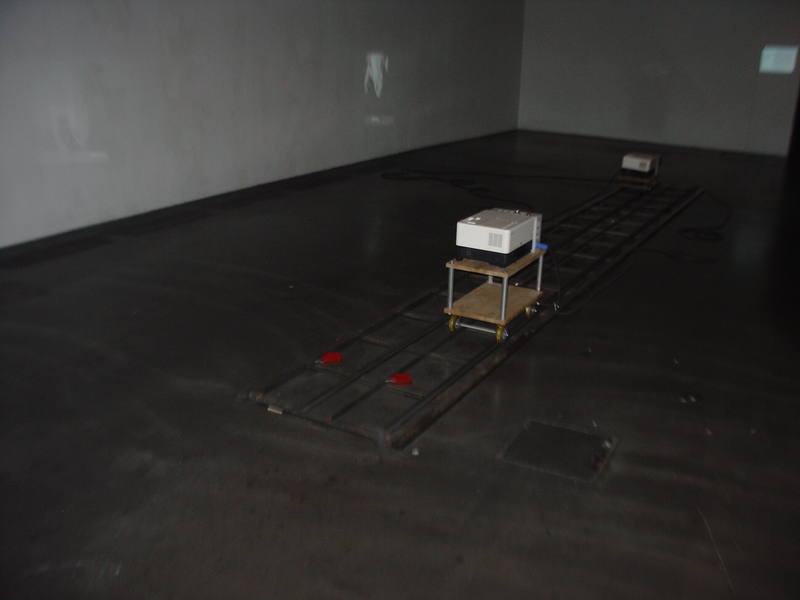 Two channel video installation on moving projectors of frogs trying to eat a plastic worm. Mika Taanila: The Zone of Total Eclipse. 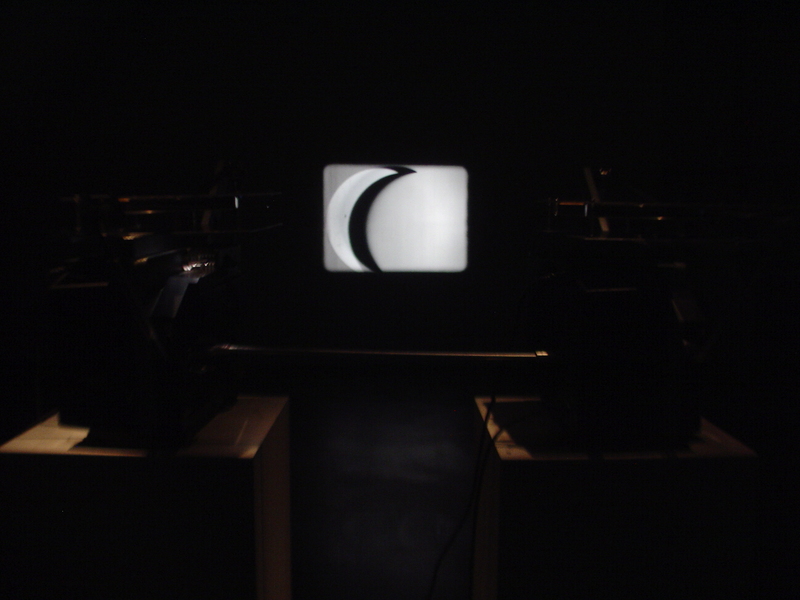 Two-channel (positive and negative) film projection loop of Moon eclipse. My collegue Dejan Štefančič – Štef and I (Pila Rusjan) are on a two month Leonardo da Vinci mobility in Finland. We are guest students at MediaLab at School of Art, Design and Architecture at Aalto University, Helsinki. This is our blog. ← FinLand, here we are!